This workbook is designed to help students practice the Past Simple and Present Perfect. It will focus specifically on the structure of the Present Perfect and then the differentiation with the Past Simple. The following activities are designed for students to practice the structure of the Present Perfect. 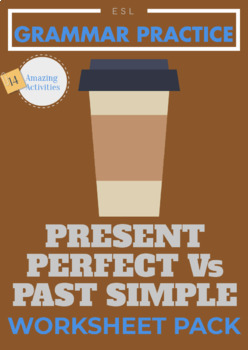 The following activities are designed to practice the way we use the Present Perfect and how we differentiate it from the Past Simple. All of the activities are classroom tested and come with a full answer key at the end of the workbook.